Ryder is the new turf pigment technology that protects turf from harmful UV rays and excessive light, delivering a consistent natural green colour. Apply as a programme to build colour and prior to periods of stress to maintain appearance. Wear appropriate clothing - coveralls and protective gloves, when handling the concentrate. Can be applied all year round. Product rate: 0.5 – 2 l/ha depending on the colour response required, plant growth and mowing height. 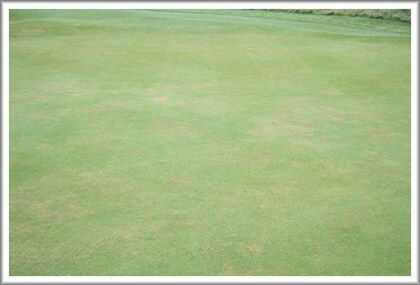 Use higher rates for deeper green colour and higher heights of cut. Avoiding stains in sports kits: For sports turf where high impact sports, such as football and rugby are played, RYDER should be applied at least three days prior to a game. Additionally, RYDER should be allowed to dry on the leaf after application, prior to any irrigation being applied. Avoiding stains in sports kits. For sports turf where high impact sports, such as football and rugby are played, RYDER should be applied at least three days prior to a game. Additionally, RYDER should be allowed to dry on the leaf after application, prior to any irrigation being applied. Stone, paths and pavements will be stained if contacted.